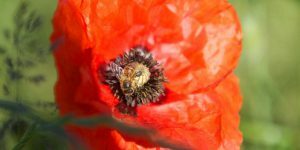 The Oxfordshire BeeKeepers Association (OBKA) is a registered charity and our objectives are 'to further and promote the craft of beekeeping and to advance the education of the public in the importance of bees in the environment'; you can read more on our OBKA Constitution page. We provide an educational programme for anyone interested in becoming a beekeeper, including taster sessions, meetings and practical courses for beginners. We also encourage our members to raise their standards through further qualifications such as the Basic Assessment or Advanced BBKA Husbandry courses and examinations. OBKA also provides practical information and assistance to the general public for the collection of honeybee swarms, and we are now actively drawing attention to the decline of pollinators and how we can help our environment. 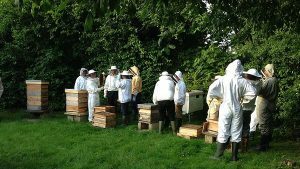 Members receive a range of benefits that include an active programme of apiary visits, practical courses, meetings, and a monthly newsletter. There is also access to a library of books and videos, and to loan equipment such as honey and wax extractors. As a beginner, you will benefit from learning your new craft in our Teaching Apiary in Woodstock. 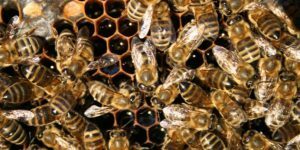 Our tutors are expert beekeepers and have years of experience in all aspects of bee health and management. We also have a mentoring service where experienced beekeepers will help new beekeepers through their first year. Members of the Oxfordshire BeeKeepers Association are also members of the British BeeKeepers Association (BBKA). Becoming a member of the BBKA brings it's own benefits and rewards. You will join a community of over 20,000 Beekeepers in England and your membership provides you will bee disease and public liability insurance. If you register your apiary on BeeBase you will help contribute toward research towards healthy bees.